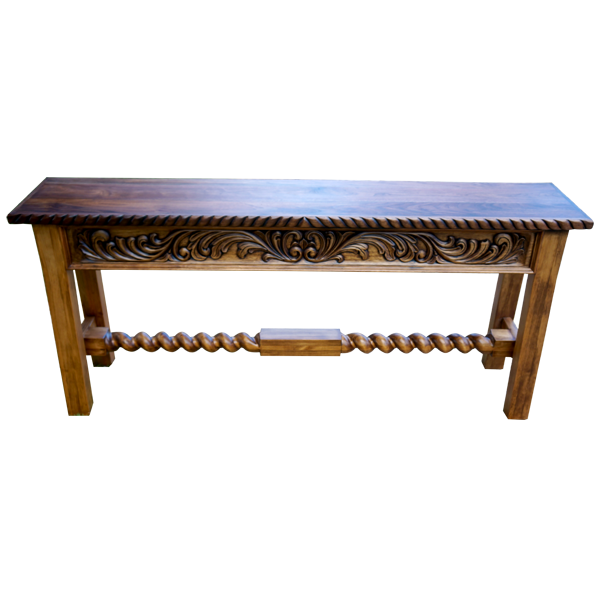 This graceful, handcrafted, Spanish colonial style console will be a lovely addition to your home décor. 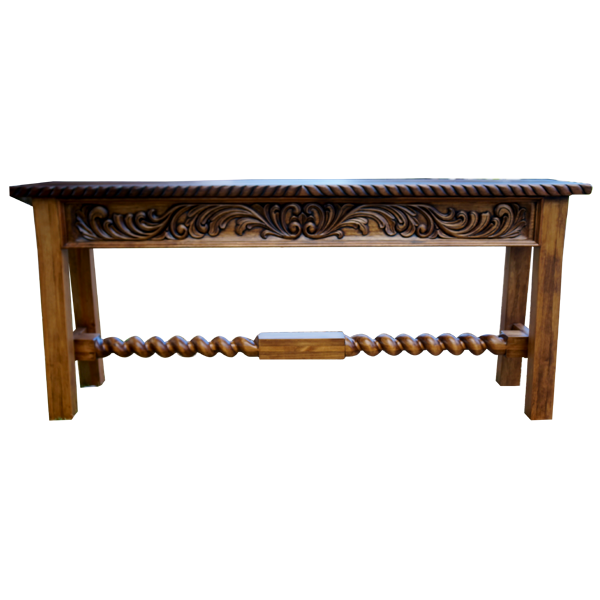 The console has an open, wide top, with a straight top rim, and the top rim is embellished with a hand carved, twist rope design. 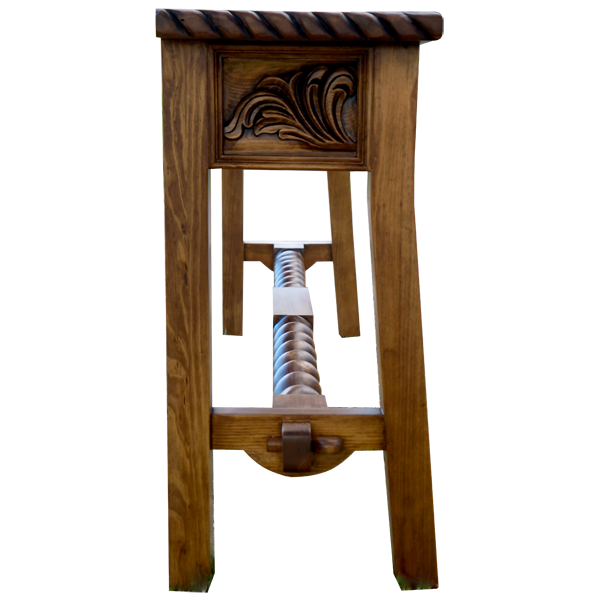 Below the front top rim are magnificent, hand carved, floral and scroll designs, all created by our skilled craftsmen. 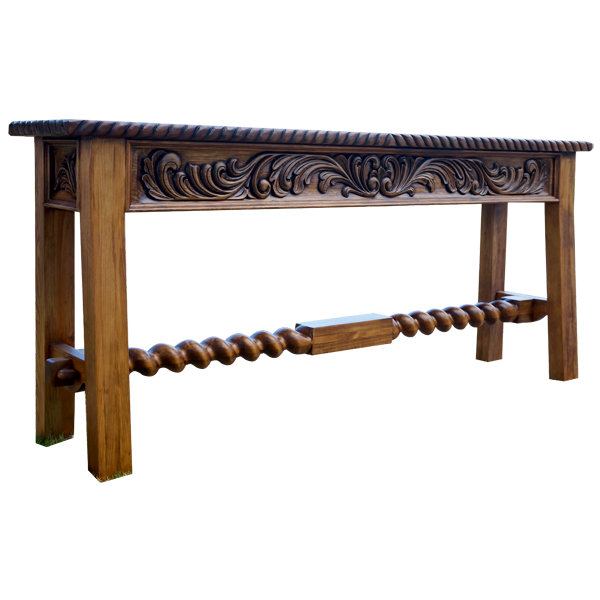 Each lateral side of the console has a rectangular cut panel, adorned with gorgeous, hand carved floral designs. The four legs have a square cut design and are slightly splayed, and the legs are joined by a small “H” shaped stretcher. The opposing pair of legs are connected by a long, hand turned, spiral crossbar, with a centered, rectangular design. The console is made with the best, sustainable, solid wood available, and it is 100% customizable.